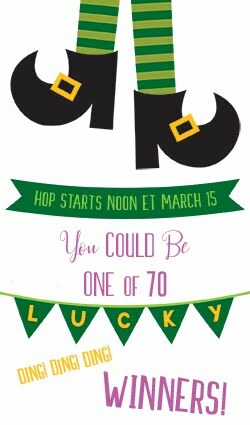 JOIN US FOR THE HOP! 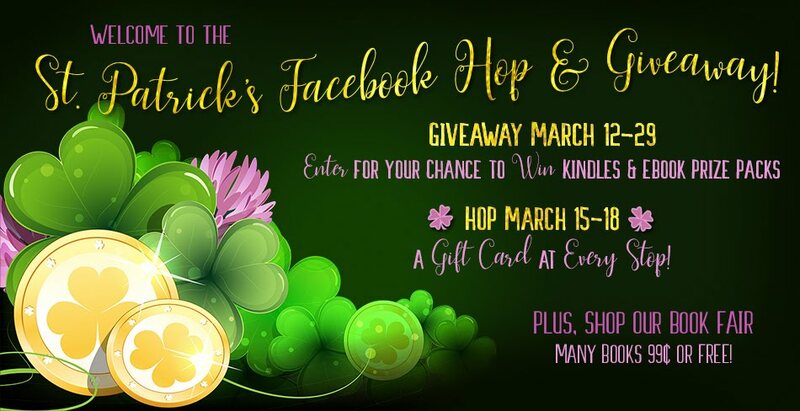 May the luck of the Irish be with you March 15-18 for our Mega Gift Card Facebook Hop with 70 authors and a gift card giveaway at every stop! Gift card amounts are decided by each individual author and range in value from $5 to $25. The hop begins Thursday, March 15 at 12 noon ET (USA Eastern). Each author is running their own giveaway, so be sure to follow their instructions on how to enter for your chance to win, and check back on Sunday, March 18 after 12 noon ET, when when each author announces their winner on their Facebook page. Plus, enter every author's giveaway on the hop and you could win a Kindle Fire 7 or Echo Dot! I love this hops. A chance to meet new authors and of course the prizes. Thank you so much. I love finding new Authors. Thanks for the invite to the Hop! I wish the genres of the authors weren't so diverse. Meeting so many new authors! This is great. I love this Hop but there were 5 authors who did not have their Hop posts up on their Facebook pages. I will try them later but it is hard to complete the entries when they are not all available. Just noticed mine was down. Re-posted. This hop has been so much fun and I love meeting new to me authors!! I've gotten everyone but Jennifer Saints. That link takes us to Jennifer St. Giles who I believe is a different author. Is the link actually correct? Hi, I just re-posted, if I was one you missed. Hi, Everyone! I'm the author hosting this event, Aileen Harkwood. My apologies for the missing posts. This is NOT the authors' fault. Everyone of them have posted to the hop, but for some reason Facebook keeps removing posts. We do not know why and have received no response from FB support. Authors have been reposting, but there is no guarantee FB won't remove some of them again. To make up for this, please scroll toward the top of this page where you will find a link to a giveaway for (10) Amazon $5 gift cards in a Facebook-free zone, Rafflecopter! To be eligible, all you have to do is enter at least one author's giveaway on the hop. Traci E. Hall is the only one I can’t post to. I’ve left messages and tried to friend her to see if that is why there is no comment button,but she has not responded. Thank you Traci for adding me to your page! Thank you , it was so much fun! Thank you for this awesome hop! It's so much fun. I always find new to me authors during these fun filled events. Aileen, several people left me messages on my page when mine was taken down. You might want to put that in the instructions, as I have added their names to my list. Thank you for your quick response, Nancy! Went to each post, but did find a couple had no posts. Did enter for the "GC Make Up" as indicated at the top. Thank you to all the generous authors, for hosting this giveaway! You are amazing! I want to thank every author that is participating in this hop. Now if only Facebook would leave the posts alone. Happy St. Patrick's Day everyone!! Happy St. Patrick's Day! Thanks so much for hosting the Hop! Thank you for the chance. Happy St. Patrick’s Day! Happy St Patrick's Day EVERYONE! I hope everybody's had as much fun as I have had! It's been a great way to distract me from my flare of MS with the weather so bad here in NH! We are back to freezing cold with more snow expected! 😕 Makes for very tough time for me! Happy St. Patrick's Day EVERYONE! Thank you for participating the winner of my $10.00 Amazon Gift Card is Anissa Cuadra Chitwood! Anissa, please IM me with your email so I can get your GC to you! I am not did if I missed one , I went back through them all for the one I could not comment on amd had wrote a dm.. they responded very fat and where best to help me but I could not find one post and then tried to manually find them other routes. But am not sure because I tried for the other giveaway as well.. echo? But don't want to be disqualified because I had sent it in direct message to the 2 I had missed. . Any way enough of that. .. O had so much fun doing this want all crazy like some want you to copy and paste. Or three links from your first link then you have to click on 10 authors just for that one .. any way this was the best and it's not even over Wyoming is suppose to be the best and fun part. . But this was awesome. . Hope to see more. And good luck.. thanks for such a good experience. This was my first big one entering and I loved it !! !